BackyardCity.com is proud to offer Villa Protective Chair Covers from Classic Accessories. The Villa protective cover line provides the ultimate in protection for your outdoor furniture and accessories at great entry level pricing. 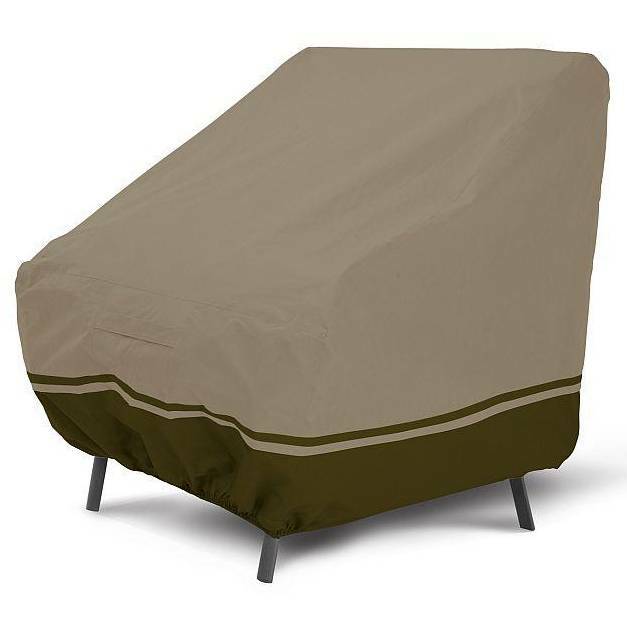 Stylish and sophisticated, Villa covers look expensive, but are quite affordable and provide long lasting protection for your outdoor furniture, tables, grills, equipment, and anything else you want to preserve. Villa covers are constructed with WeatherPro™ 3-ply non-woven fabric and are designed to coordinate with most homes as well as with the natural outdoor environment.